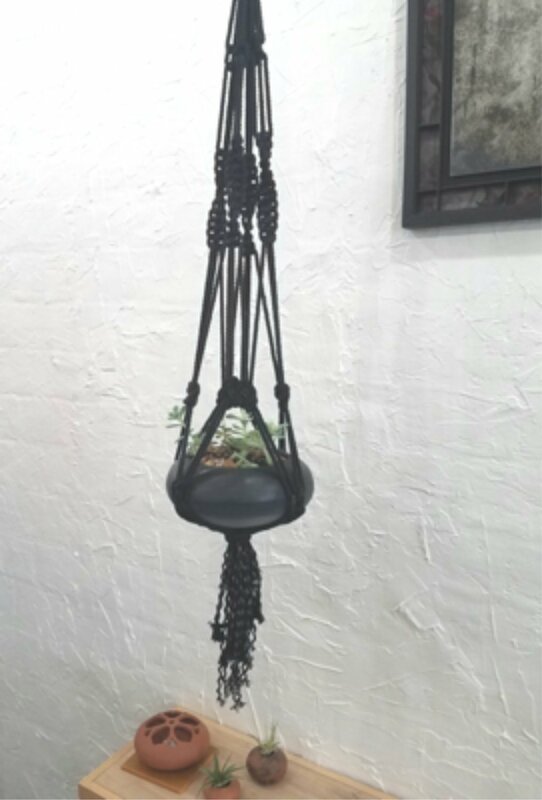 Cotton macrame dyed black with handbuilt terracotta pottery. Pot is painted with milk paint blending from black to white. currently not available for shipping. available in studio with or without plant.